It is the family birthday season. My birthday was a few weeks ago and Chris is celebrating the anniversary of her birth this weekend. One of the things that Chris and I do for each other is make a special celebratory birthday cake. Mine is a yellow cake with cream cheese frosting and pineapple. 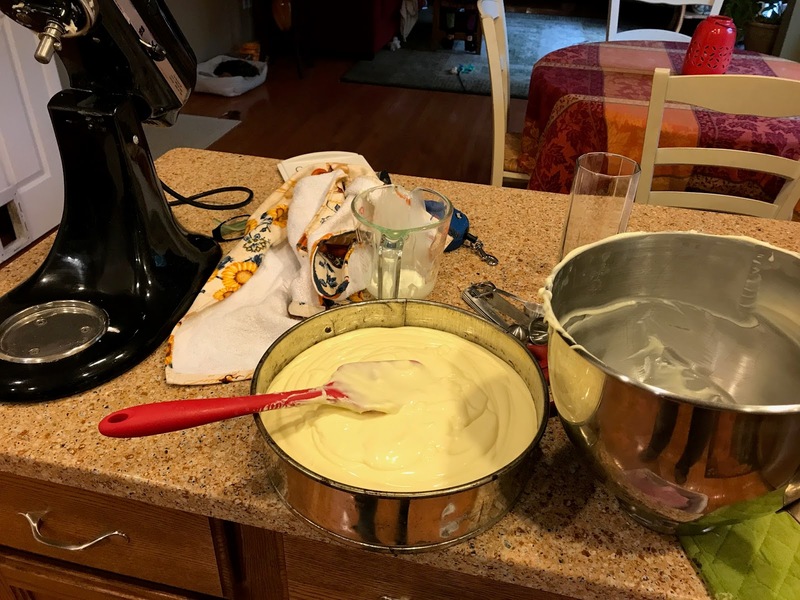 Chris likes New York style cheesecake made from scratch using a Betty Crocker recipe. 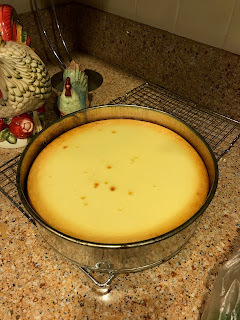 The cheese cake is truly a production covering about 4 hours of preparation, baking and cooling before it can be left unattended in the refrigerator. 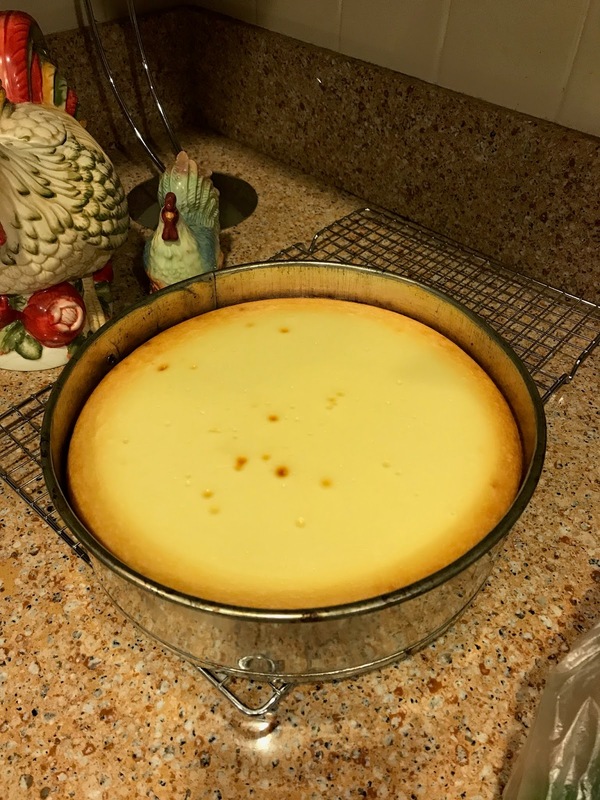 The object is to make a perfect cheesecake without any cracks! It came out fantastic! A cheesecake ready for the celebration! And I didn't wait until the last minute!